Monoi products are well-known for their captivating scents and ability to glide on the body with ease. Also known as Monoi Oil, this brand features gorgeous packaging that makes every customer feel like they're purchasing a treat for themselves each time they order their bath products. 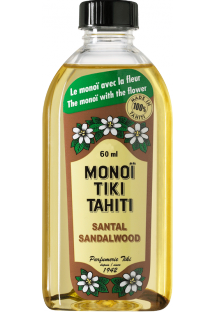 In fact, the tahitian oil boasts a reputation for pleasing customers across the globe. 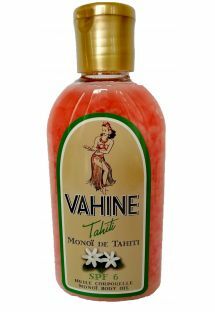 Customers often find themselves coming back for more Monoi de Tahiti products, whether they love the shampoo or the shower gel. 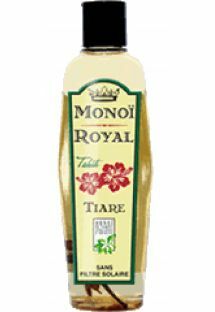 Indeed, using Monoi de Tahiti can transport someone from their everyday problems, allowing them to luxuriate like an islander—even if they live in the city. 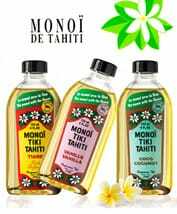 What is the origin of monoi de Tahiti oil? The oil comes from the maceration of coconut oil and tiare flowers, which grow in numbers in Tahiti and the islands of the South Pacific. This mixture has many beneficial virtues widely used for body and hair. It also has a delicate and sensual scent which is highly appreciated. Packed in the bottle, the oil becomes solid in the temperature lower than 20°C, but it is enough to place it near a heat source to make it liquid again. You can also put a bit of the solid oil on your hands and just rub it to worm it up. It is important to remember that is not a sunscreen, but rather an excellent after-sun care product that helps regenerate the cells and prolong the tan. It can help to accelerate the tanning process as well if applied on the properly prepared skin. You need to be very careful not to get sun-burnt. 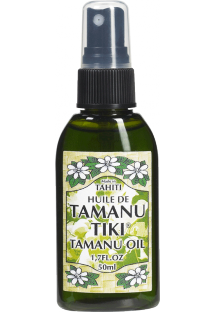 This Tahitian oil is a great moisturizer if applied on a moist skin after the shower. You can easily replace butters and body milks with questionable compositions. Applied an a dry skin, it provides a satin, slightly shiny effect that sublimates your sun-kissed skin during the summer. Finally, it has relaxing and soothing virtues, ideal for healing muscle tension. 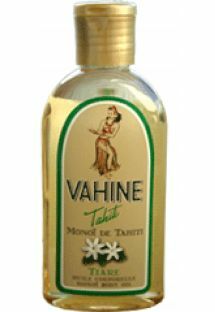 It can be used as a massage oil with the most pleasant and exotic scent, which contribute to general relaxation and well-being. There are product lines specialized in hair treatment. 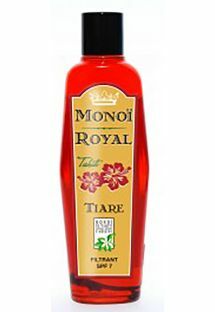 Monoi hair oil is as beneficial for the hair as the coconut oil and helps to repair dry ends, to make the hair soft and shiny, to give it strength and vigor and to facilitate daily care. For best results result, it is better to apply it as a night mask, on all the lengths, before rinsing it in the morning with a delicate shampoo. The effects are visible in the long term so repeat the treatment once or twice a week. As a daily care, you can simply apply a few drops on the dry ends of your hair, in order to hydrate and make them smooth. Use it also before the exposure to the UV radiation or the sea salt, so that you will enjoy beautiful hair, as the native people of Tahiti and South Pacific do. 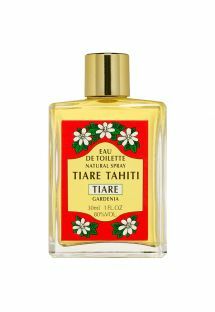 Tiare flowers have also a great use as a summer fragrance. You can put a few drops on your neck, hair, or the hollow of your wrists. Some brands also offer mixture with natural fragrances such as vanilla or grapefruit. If you have a dry skin you can add a few drops of monoi oil to your day or night cream, it will intensify their nutritional and moisturizing effects. However, if your face skin is oily, don’t do it. You can use it as a make-up remover. Put a few drops on a cotton pad and rub your face and eyes gently. It will wash-off even a waterproof mascara! How to choose a good product? 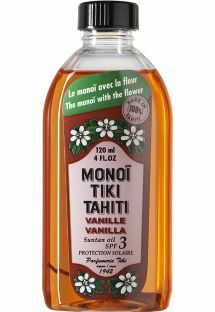 This traditional Tahitian body and hair care product is available today in many shops, but how to find the one with a good composition? Organic oils remain among the best options, without toxic or chemical ingredients, without perfume, paraffin or alcohol. The "traditional" oils are also of good quality, guaranteeing the content of more than 90% of a pure monoi. These are the two types of the tahitian oil you will find on our website from the brands such as Hei Poa, Tiki, or Tevi. 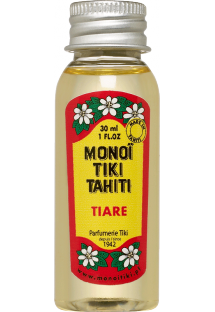 Monoi de Tahiti is a luxurious blend of pure natural coconut oil and tiare flower, also known as Tahitian gardenia. Coconut oil offers excellent soothing properties. It brings a relief to the skin from the drying effects of sun, wind and seawater. The tiare flowers are ones of the most fragrant flowers in the world. The combination of these two elements creates a rich and subtle ointment. Natural coconut oil mixed with tiare flowers, create an amazing oil very beneficial for the skin and stimulating the senses. It is the main ingredient of many hair and skin care products. Don’t worry if the product becomes solid at 68ºF / 20ºC. When this happens, simply pass the bottle under hot water until it is re-liquefied. - Give yourself a moment of relaxation with the massage oil. At the Brazilian Bikini Shop we offer a wide range of products: bronzing oils, sunscreens, shower gels, massage oils, body lotions, shampoos, hair masks, Tahitian flower perfumes and much more! 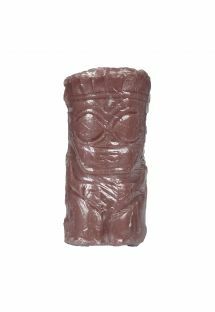 This amazing traditional Tahitian formula available now in a variety of forms on Brazilian Bikini Shop. Nourish, moisturize and fall in love with Monoi! 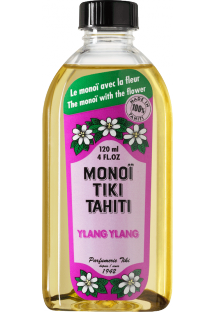 Monoi de Tahiti is a luxurious natural blend of pure coconut oil and tiare flower, also known as Tahitian gardenia. Coconut oil is a marvelous emollient with remarkable skin softening properties. The oil of the coconut alleviates the skin drying effects of sun, wind and sea water. 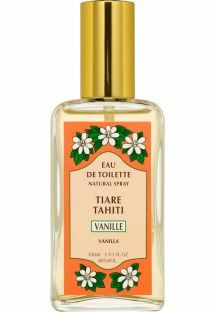 Tahitian gardenia is one of the most sweetly fragrant flowers in the world. The combination of the two creates a sublime thing, indeed. 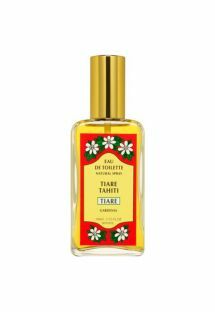 When natural coconut oil and Tahitian tiare flower oils are blended together, the resultant Monoi de Tahiti is beneficial to the skin and stimulating to the senses. Monoi is the primary ingredient in a range of smoothing and soothing products for hair and skin. Please note that the natural, unemulsified coconut oil in these products will solidify at room temperatures below 68F/20C. When this happens, simply hold the closed container under warm running water for a minute or so, until the monoi melts. 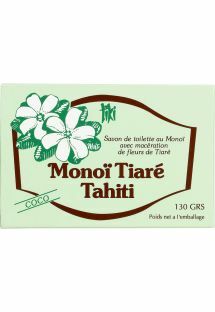 Never heat Monoi de Tahiti in a microwave oven, as doing so will reduce the fragrance of the Tahitian gardenias contained therein.